(Newser) – China has warned President Obama that he will inflict "grave damages upon the China-US relationship" if he meets with the Dalai Lama today as planned. The White House says the president will meet the Tibetan spiritual leader as a show of concern for human rights in China—a move China's foreign ministry calls "gross interference" in the country's internal affairs, Reuters reports. 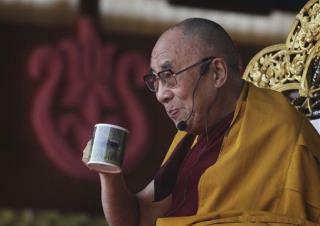 I don't think Obama should meet the Dalai either. People get dumber just by listening to Obama I couldn't imagine being in his presence. Might as well get the Dalai a drool bucket. China owns the world so why bother to teach them to get along with the rest of humanity. They are an old culture but also a childish one. Screaming at anyone to notice me.